This month in our Branch of the Month series is dedicated to the Russian Fire Support Vehicle branch, available in Marat Shishkin’s vehicle pool. This branch has two distinctive parts – the airborne AFVs (Boyevaya Mashina Desanta – BMD) and the Terminator series Tank Destroyers. 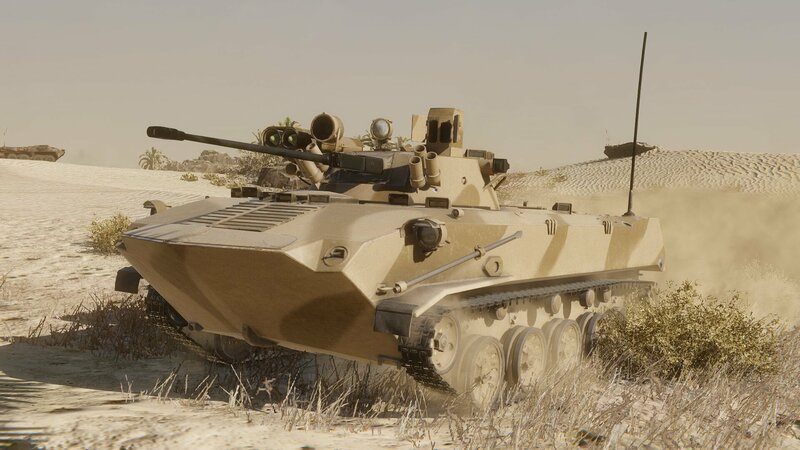 BMD-1 Tier 3 AFV – the first of the Russian airborne series, the BMD-1 was a tiny vehicle, designed to be as light as possible while offering the same level of firepower as the BMP-1. It was fast and agile but its low weight was paid by extremely thin armor that barely stopped anything bigger than standard bullets. BMD-1P Tier 4 AFV – this is an improved version of the BMD-1, fitted with a better missile launcher, firing the Fagot or Konkurs missiles instead of the original Malyutka. A limited number only was built and it wasn’t overall a major improvement. Nevertheless, the new missiles allowed it to counter more advanced western MBTs on the battlefield. BMD-2 Tier 5 AFV – the first and only major improvement using the BMD-1 chassis, the BMD-2 had its weapon module replaced by that resembling the BMP-2 with a 30mm autocannon. The Russian Airborne requested even more firepower but the chassis’ tiny size did not allow the vehicle to carry a larger gun, leading to the development of a bigger chassis. The vehicle was, however, just as vulnerable as the BMD-1, making it generally obsolete on the modern battlefield. BMD-4 Tier 6 AFV – the result of the abovementioned bigger chassis development led to the BMD-3 AFV, available in very limited numbers in the 1990s. As the next step, its firepower was increased by replacing the 30mm weapons module with a 100mm gun and 30mm autocannon combination. 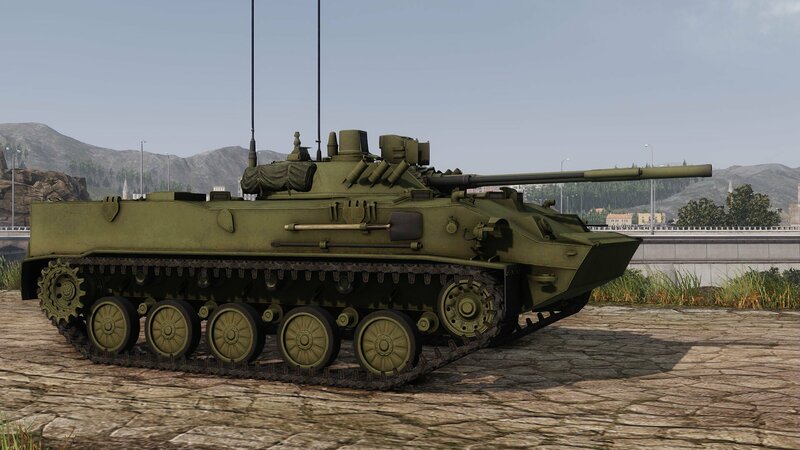 This version received the designation of BMD-4 and while the firepower improved compared to its predecessor, the BMD-4 suffered from a large number of teething issues and the Airborne was never really happy with it, leading to, once again, very small production numbers. 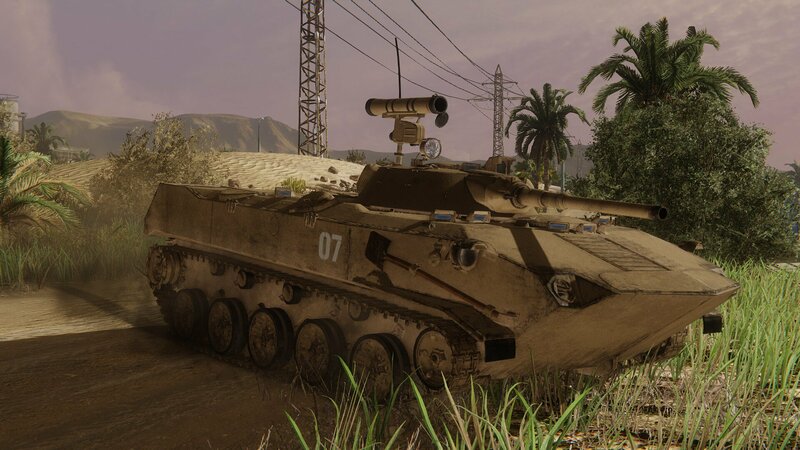 BMD-2M Tier 7 AFV – the BMD-2M is a step backward of sorts – a heavily modernized variant of the BMD-2 for Russian service. The BMD-2 is being kept operational simply because nothing else is available in sufficient numbers, leading to several attempts to increase its combat value. 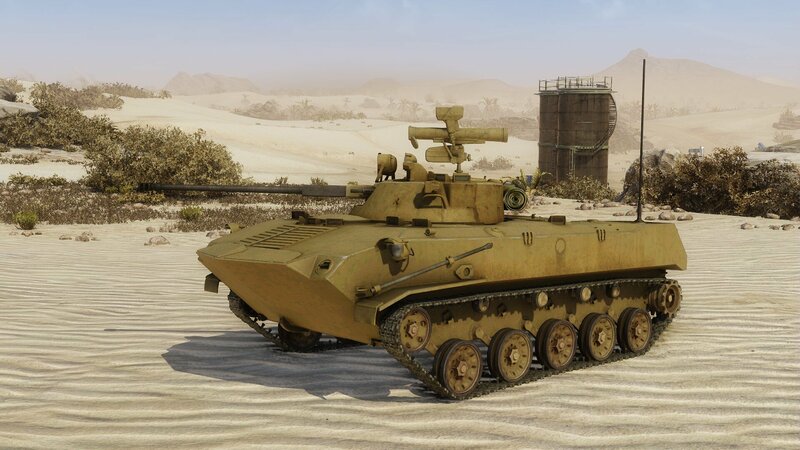 It’s technically a more modern vehicle than the original BMD-4, which is why it appears one Tier higher despite its smaller size and older chassis. Ramka-99 Tier 8 TD – this is the first of the Terminators, the T-90-based BMPT shown to public for the first time in 2000. It represents a shift from the light scout BMD gameplay, relying instead on its armor and firepower. It’s armed with two 30mm autocannons and four Ataka missile launchers, allowing it to take out its enemies with a salvo of guided missiles. You can read more about it in our dedicated article. 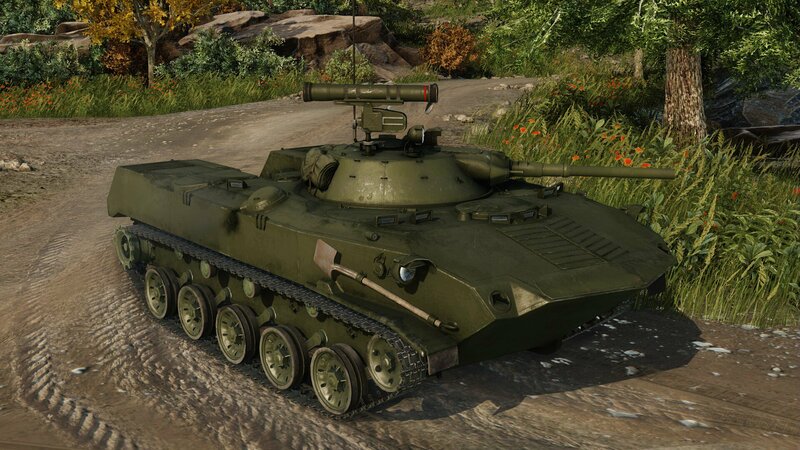 BMPT-72 Terminator-2 Tier 9 TD – the Terminator-2 is an evolution of the original BMPT. Built upon a T-72 chassis rather than that of a T-90, it features a number of improvements including better protection, more advanced electronics and two engine options. Three hundred of these were ordered by Algiers with the deliveries starting around this time. T-15 Tier 10 TD – theT-15 is one of the most divisive vehicles of Armored Warfare. Admired by some, hated by others, it’s clear that it can make a large mark on the battlefield if played correctly thanks to its toughness and the ability to fire guided missiles in rapid succession. It’s technically not a Tank Destroyer but an IFV – a superheavy infantry vehicle based on the Armata platform, intended for elite units and breakthroughs. Its ability to devastate enemy tanks with missile salvos earned it, however, a switch to the Tank Destroyer class. Play style-wise, there are two distinctive categories in this branch. The first part of the branch are the BMD Light AFVs. Light AFVs are, hands down, the best scouts in the game. 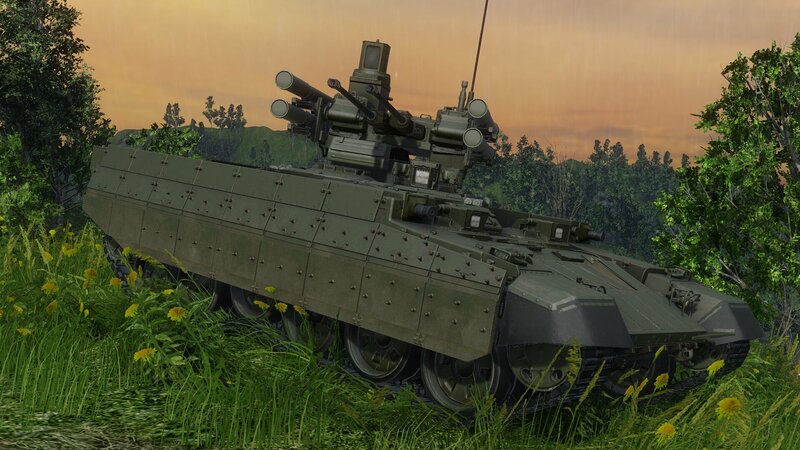 Whether staying hidden behind a bush and observing enemy vehicles at distance or using their high speed and maneuverability to quickly spot the enemies and disappearing behind an obstacle before they have a chance to react, the light AFVs are the ultimate eyes and ears of each team. No vehicles are as good at this and a single capable scout can turn the tide of battle in your favor, especially if the enemy team lacks an equally skilled spotter. Their mobility is also second to none with nearly instant acceleration – some of the wheeled vehicles might be a bit difficult to control due to all that speed but once you get the hang of it, you’ll be taking turns as if there was a fresh batch of tofu in your trunk waiting to be delivered. The most important part, however, is to be aware of your environment – being stopped by running into an obstacle in the middle of a dogfight will surely lead to your quick demise. However, there’s a price to all this speed and influence. The Light AFVs are, hands down, the most fragile vehicles in the game and even a single hit from anything bigger than an autocannon can deal massive damage, immobilizing you, killing the crew or destroying multiple modules. High Explosive shell hits are especially devastating since their explosive splash makes it much easier to immobilize an AFV by destroying its wheels or tracks. A static and spotted AFV is a dead AFV – this is especially important for players who prefer to stay hidden rather than run around the battlefield. It is crucial to immediately relocate when spotted, as everyone and their grandmother will instantly target you as an easy kill. Regardless of what weapons systems they use, the Light AFV firepower is also quite low and their fire support ability will always be inferior to other classes. AFVs armed with guided missiles can take out a MBT with some luck and careful aiming but their autocannons are only useful against other light and unarmored targets. If attempting to score some kills, missile-carriers like the VBL should therefore stay away from the front line. Vehicles relying on autocannons should, on the other hand, close in and take out their targets by firing at exposed enemy flanks. 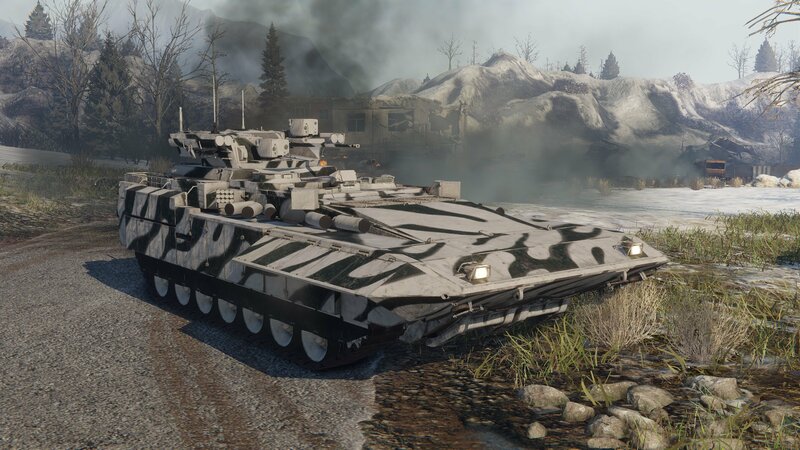 If you prefer a combination of stealth and speed, like to silently wait in hiding, to mark your enemies and drive them mad by the fact they can’t see you and you like to have a lot of influence on the flow of battle, the light Armored Fighting Vehicles are the best class for you. Be warned though – they are possibly the most difficult vehicles to play in all of Armored Warfare. Mastering them requires not only solid knowledge of game mechanics, but also careful planning and the ability to read the battlefield. The second part of the branch are the Terminator Heavy Tank Destroyers. 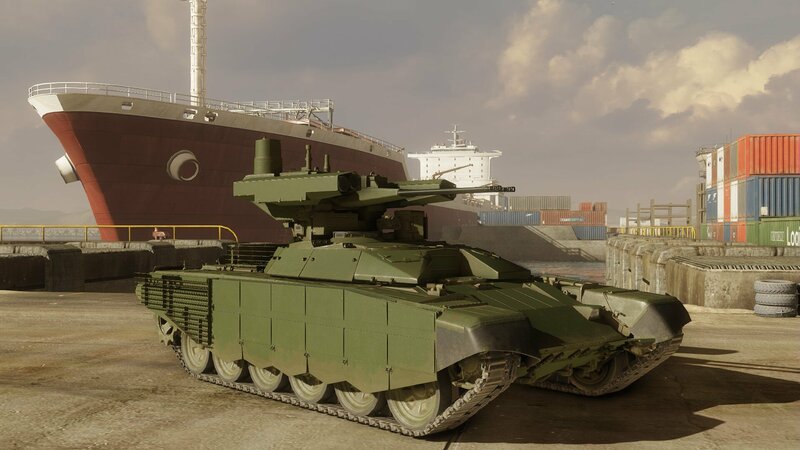 Earlier, these vehicles were listed as AFVs but were changed to the Tank Destroyer class to better reflect their in-game role. These vehicles consist of heavily armored (MBT-level) hulls and lightly armored unmanned or low-profile turrets. They can fire multiple missiles in a row (most often four), can deal tremendous damage in a few seconds and are armed with autocannons as their backup weapon. On the downside, they are massive and very conspicuous, resulting in poor camouflage factor values. While their hulls can take tremendous punishment, their turrets are generally only lightly armored and easy hits can be scored them due to their size. Finally, they are roughly as mobile as Main Battle Tanks, resulting in few chances to run away. These vehicles can be played as mid-range support, staying behind the MBT picket line and shelling the enemy with their guided missile fire before retreating to reload. Should a pesky AFV get behind your line, these vehicles will make short work of it with their autocannons. Is there still a player base for this game?? Well I’m still playing. So that’s a player base of err one. ?